Hyatt – the name is a metaphor of luxury, elegance and convenience. 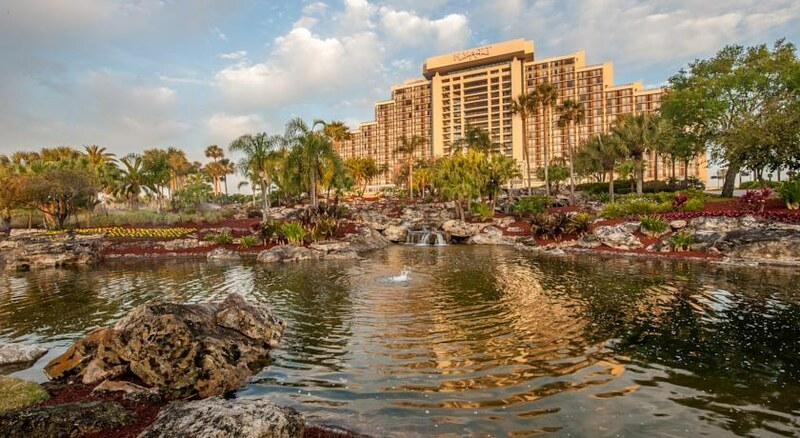 In Orlando, The Hyatt Regency Grand Cypress stands true to the name and fame of this hotel chain. In this luxury family-friendly hotel, you’ll find yourself nurtured in one of the plush and luxurious 815 guestrooms spread over 65,000 sq. feet area. Each of these rooms features a balcony, in-room safe, iPod docking station, free Wi-Fi and work desks. With 3 restaurants and 3 lounges, the hotel is a foodie’s paradise. 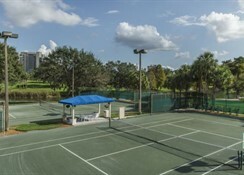 At Hyatt Regency Grand Cypress, a private lake, tennis courts, outdoor lagoon pool and water slides make sure that you stay entertained during the stay. Sports lovers can tee off at one of the four Jack Nicklaus-designed golf courses or the world-class tennis courts, while kids can enjoy at the Camp Hyatt kids’ club. For wellness and care, you get to experience the services of the famous Marilyn Monroe Spa. The hotel is a perfect accommodation option for business travellers too and meets all their corporate needs. 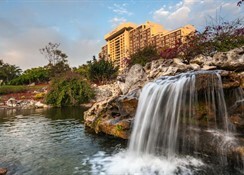 In Lake Buena Vista of Orlando, Hyatt Regency Grand Cypress is a famous landmark. It is at a distance of 28.8 km from the Orlando International Airport. Universal Studios, Disney’s Hollywood Studio, The Walt Disney World – all surround the Hyatt with a radius of 10 km. Categorised into Standard, Accessible, View, Regency Club and Suite, the 815 guestrooms and suites ensure you a cosy and comfortable stay. Each of the rooms is well equipped with private balconies, chaise lounges, a lavish Hyatt Grand Bed™, satellite TV, iPod docking stations, in-room safe, coffee maker, free Wi-Fi and work desks. A handful of rooms also offers you an access to the private lounge serving continental breakfast and hors d'oeuvres. Some select guestrooms offer views of Lake Buena Vista and nightly fireworks. 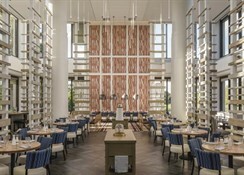 At the Hyatt Regency Grand Cypress, 3 on-site restaurants prepare you multiple options for breakfast, lunch and dinner. Hemingway's, Lake House, Trellises Lounge – these restaurants serve you a wide variety of cuisines. The Hemingway’s is famous for island-inspired cuisine and its signature steak and seafood. Lakehouse overlooks the 21-acre Lake Windsong and serves breakfast, lunch and dinner. 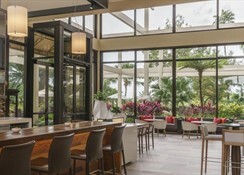 At the Hurricanes Lounge, Trellises Lounge and On The Rocks Poolside Lounge, you can try out some of the most delicately prepared drinks and beverages. The Market in the lobby provides a wide selection of grab-and-go food and beverage options. The Hyatt Regency Grand Cypress has a private lake. Besides, you get to flex yourselves at the tennis courts, swim in the outdoor lagoon-style pool featuring slides and laze around on hammocks by the pool. Young guests can enjoy in their play area or engage in fun-filled activities at Camp Hyatt kids’ club (for children between 3 and 12 years of age). 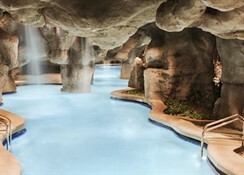 Hyatt Regency proudly boasts its spa and wellness centre named as Marilyn Monroe Spa. For fitness enthusiasts, the fitness centre houses state-of-the-art equipment.